West Indies interim head coach Richard Pybus leaves after only three months in charge, to be replaced by former batsman Floyd Reifer. England put in a "perfect performance" to beat West Indies by eight wickets in the final T20 and secure a 3-0 series whitewash, says Eoin Morgan. 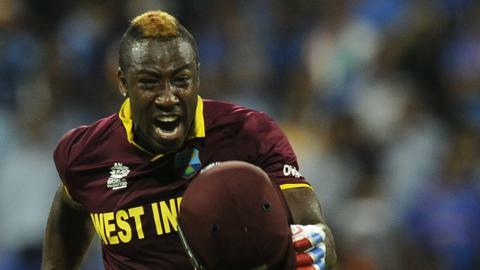 West Indies' performances during England's tour of the Caribbean has given fans "a lot of hope", says Ian Bishop. BBC Sport relives Sir Garfield Sobers' six sixes in an over for Nottinghamshire against Glamorgan in Swansea, 50 years on. Did this controversial wicket cost Scotland a World Cup place? Read more on Did this controversial wicket cost Scotland a World Cup place? England's collapse in Barbados was one of their worst, but at least they have now had some meaningful practice, says Jonathan Agnew. Bigger tests lie ahead in 2019, but England must first win in the West Indies while finding a settled side that can beat Australia, says Jonathan Agnew. Glamorgan bowler Malcolm Nash says "five minutes of his life" when he was struck for six sixes by Sir Garfield Sobers is still spoken about 50 years on. Where are all the black English cricketers? With just eight black or mixed-race English cricketers playing county cricket, BBC Get Inspired explores the issues in encouraging those of Afro-Caribbean heritage to play the sport. Read more on Where are all the black English cricketers? Who is 22-year-old sensation Jofra Archer, the latest big-money IPL signing, and when could he be eligible to play for England? Race, fame, and lifelong friendships - how West Indies cricketers charmed Lancashire cricket clubs throughout the 20th century.